Freeze bone broth made in Instant pot. 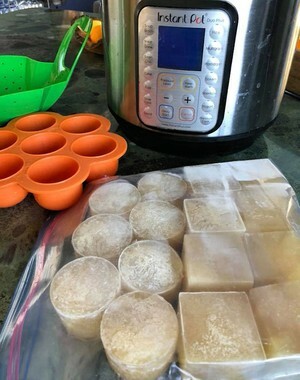 Each cube is exactly 1/2 cup, perfect to use as the minimum liquid for other recipes! Just melt on Saute while prepping for your next meal, which will get your liner nice & hot to help cut down the time it takes to come to pressure.